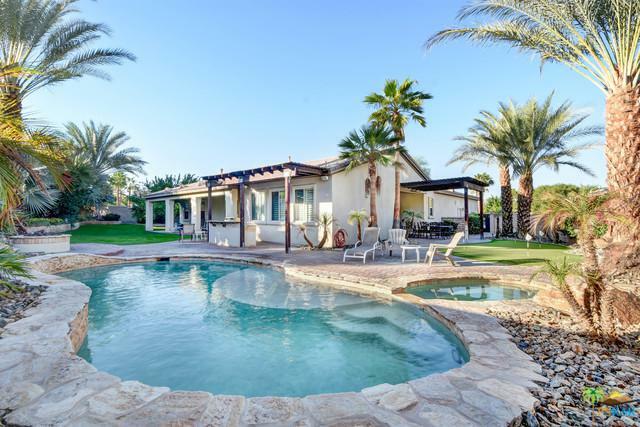 Located in one of the most desirable areas of north La Quinta, AND one of the biggest lots, this home has it all! The entrance has a large inviting, covered courtyd and fountain. Windows compliment the entry w/decorative iron accents. 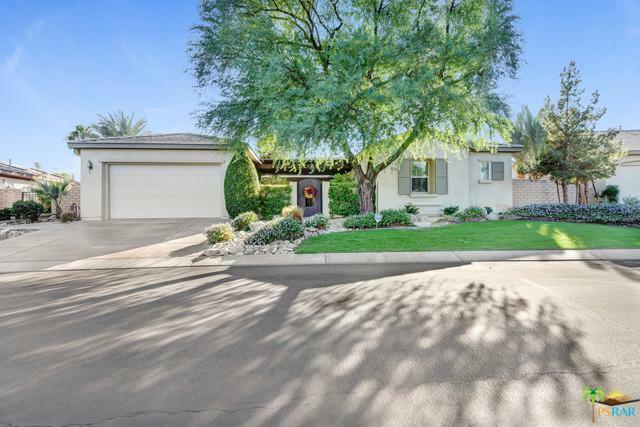 Off the entry is a large great rm w/ fireplace and built in entertainment ctr. Kitchen is open to the great rm, and is large enough for kitchen dining, as well as a large island bar. Granite counters, stainless appliances, built in oversized LG refrigerator, decorative tile backsplash compliment this gorgeous kitchen! Each of the 3 bedrms has it's own full bath. Fourth room is an office w/built in cabinetry. 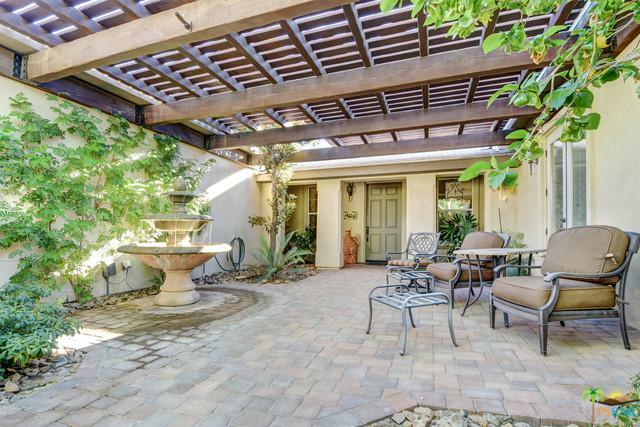 French doors open to a covered patio and huge backyd. With 3 covered patios in back, there's lots of room for entertaining. The salt water pool has custom rock decking w/separate spa. There's also a wood pit, AND putting green! Lighting on various citrus, palms, and gorgeous landscaping. The property has the look of a resort, and the warmth of a home! Listing provided courtesy of Dawn Jonker of Re/Max Consultants.